Yo ho ho and shiver me timbers. 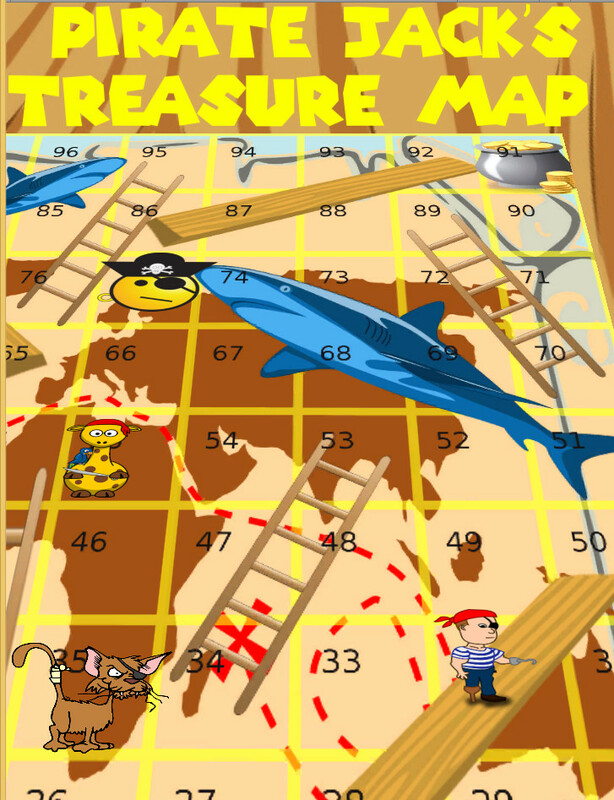 Sail the seas around Pirate Jack's Treasure Map, find hidden treasure, avoid the sharks and try not to walk the plank. Up to 4 landlubbers can play this pirate based board game. 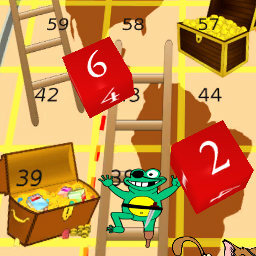 Its very easy to play, throw your pieces of 6 (the dice), then move your pirate player around the board – first to the top wins. 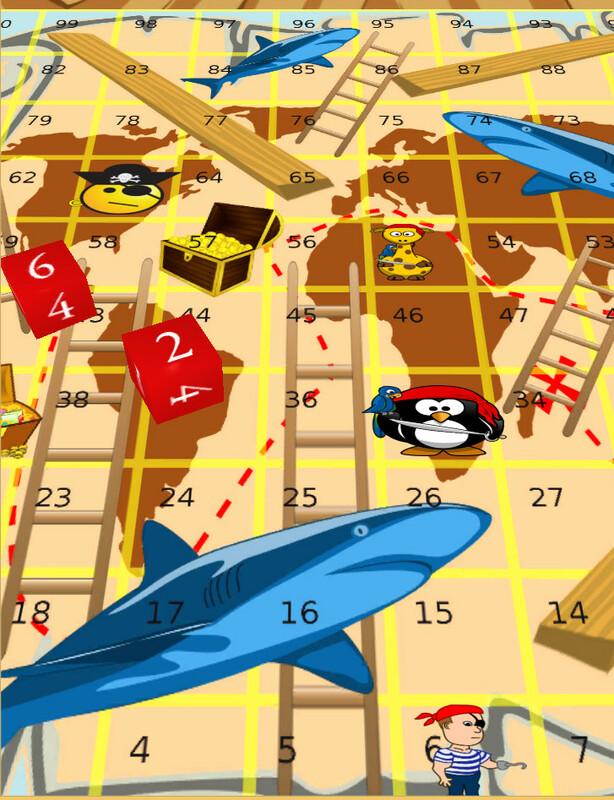 Try to avoid sharks and walking the plank as both of these will send you towards Davy Jones' Locker Land on a treasure square and you get another go, its all very easy and you phone moves the pieces around so you don't even need to remember the rules. 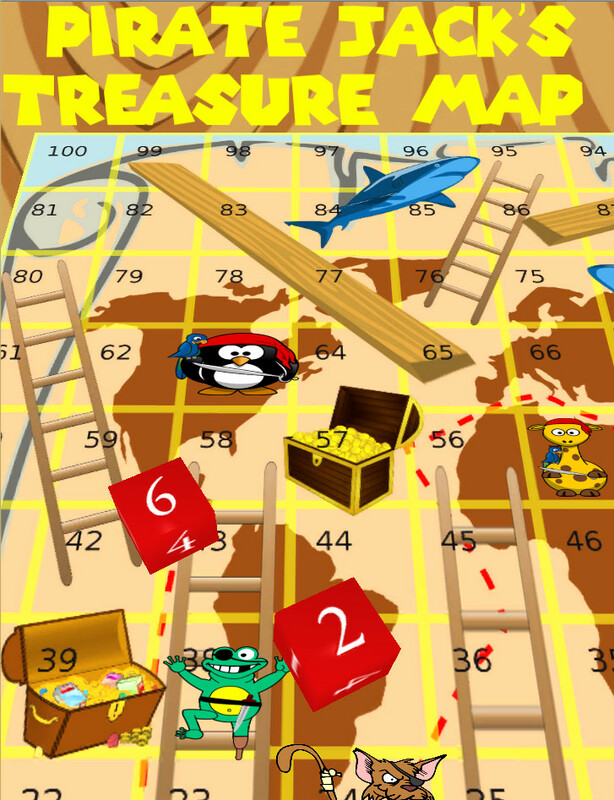 Download Pirate Jack's Treasure Map Now, Thar she blows!